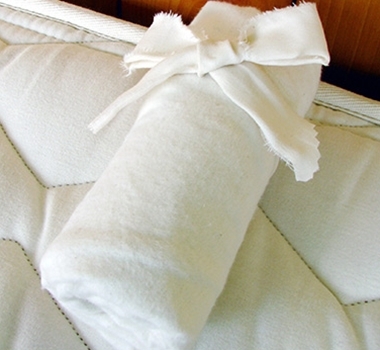 This nursing pillow cover is handmade in the USA with certified organic cotton and made to fit perfectly the Holy Lamb Organics Nursing Pillow. The cotton is a sateen weave and 300 thread count. The fabric is GOTS Certified. That stands for the Global Organic Textile Standard (GOTS) which is recognized as the world's leading processing standard for textiles made from organic fibers. It defines high-level environmental criteria along the entire organic textiles supply chain and requires compliance with social criteria as well.